Recently I have seen a turn in the requests for cascaing bouquets. 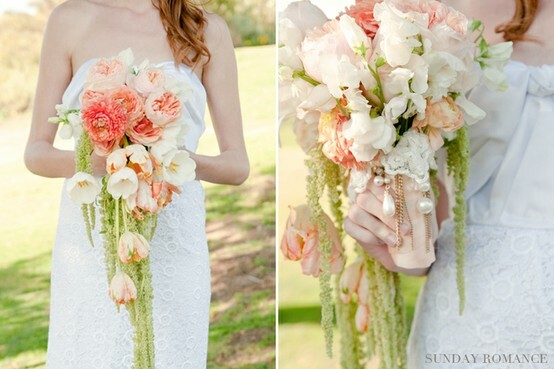 Years ago, 1970's and 1980's cascading bouquets were quite popular, but as brides starting turning towards the more natural wedding the hand-held, english style bouquet appeared. 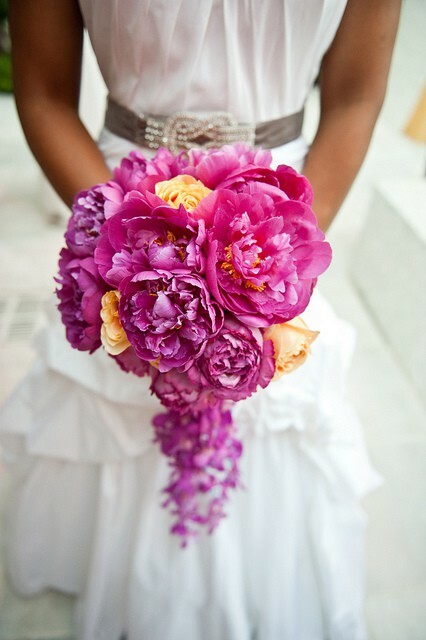 While this is still my all time favorite, I am beginning to develop an eye for the cascading bouquet. Today this style of bouquet has reemerged with a focus on the shape of flowers and pays particular attention to detail and texture, which of course I am obsessed with. Before ivy, and loud rigid greenery over took the bouquet, but today fabulous petals, particularly with exotic orchids add wonder to a cascade. 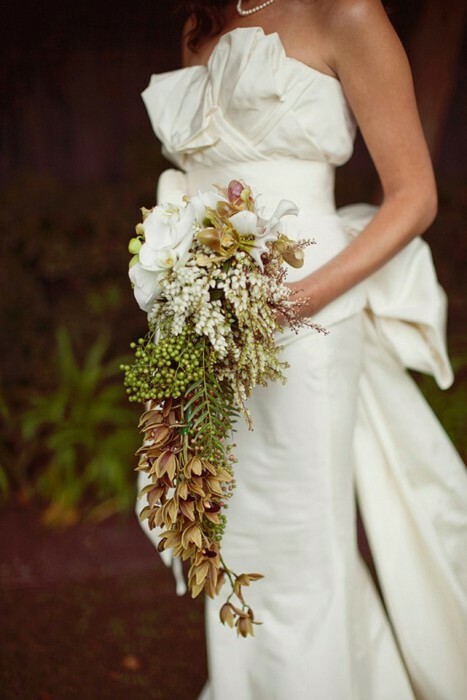 Overall the cascade has been paired with the modern bride and can be formed into multiple shapes and sizes. As I prepare for Hide and Seek's summer weddings, take a look at some of the design inspirations I found which I plan to learn from and adopt. The Phalenopsis are incredible and add an elegant yet modern appearance. A rustic vintage! Hanging amaranthus are superb. 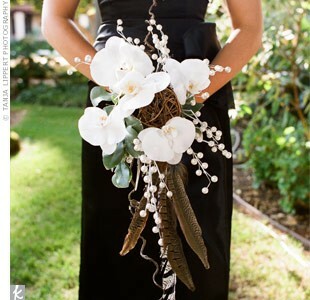 Love the use of foliage and brown colored orchids. A great shape for a run and informal wedding. Incredible use of texture and material selection. Very unique. Saving my favorite image for last. 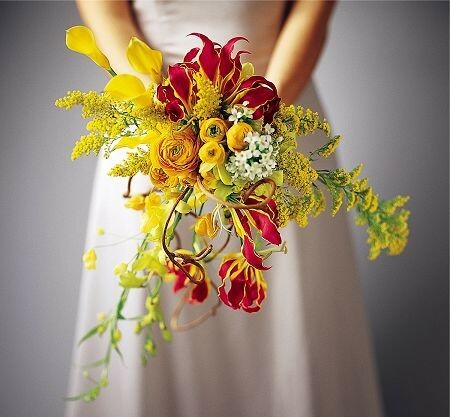 The architectural angles of this bouquet are incredible, and the gloriosa lilies add such pop and beauty.